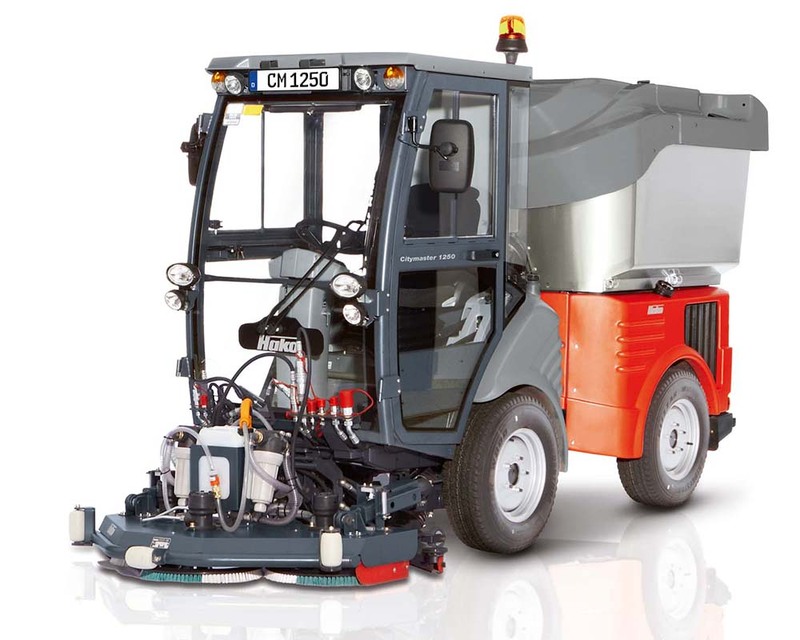 The Hako Citymaster 1250 Scrubber Sweeper has been tailor-made to meet the high demands of professional street and footpath cleaning. 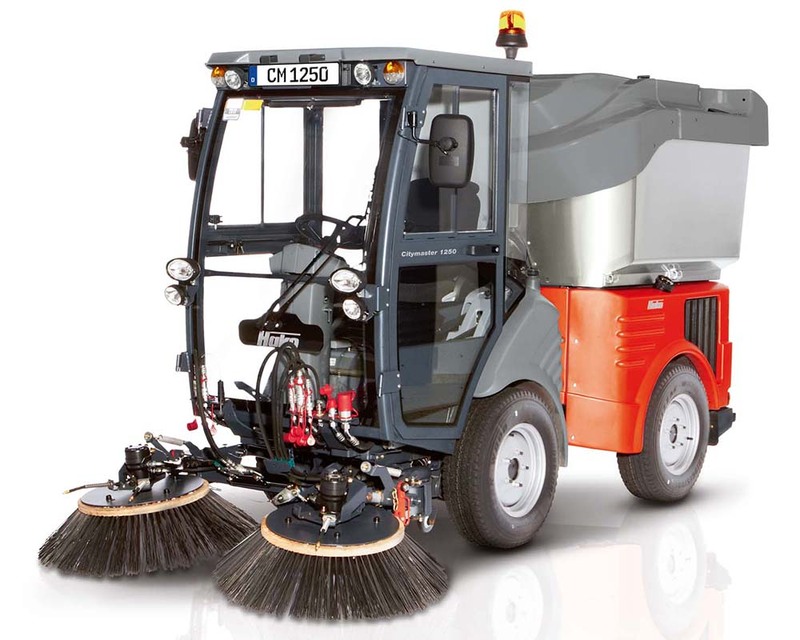 As an articulated compact sweeper the Citymaster 1250 can easily be converted into an aggressive, large capacity scrubber. 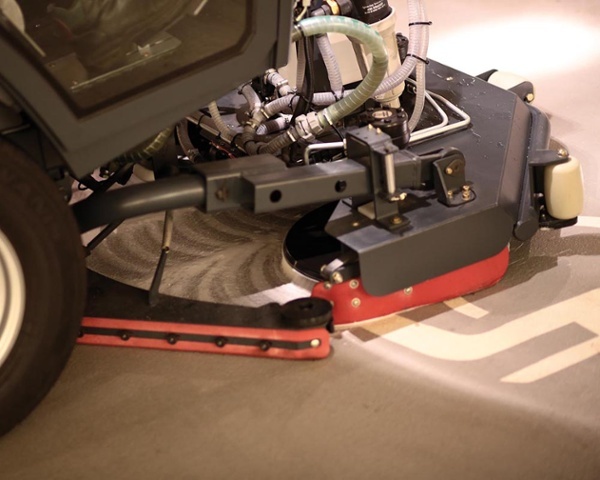 It ensures a thorough cleaning result, even where space and access is limited. 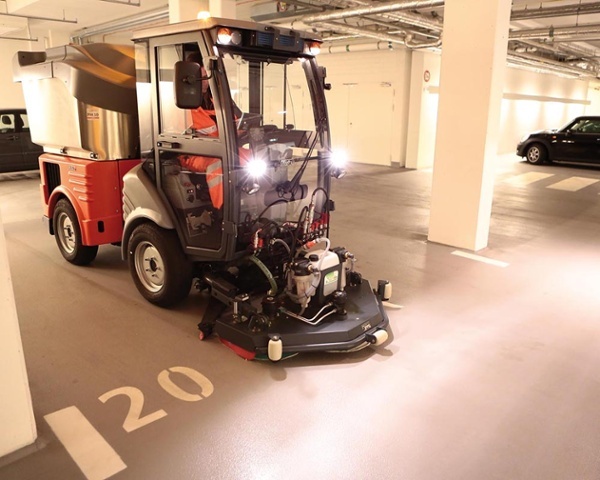 The Citymaster 1250 Scrubber Sweeper scrubs and dries floors, footpaths and malls, leaving them immediately dry for foot traffic. 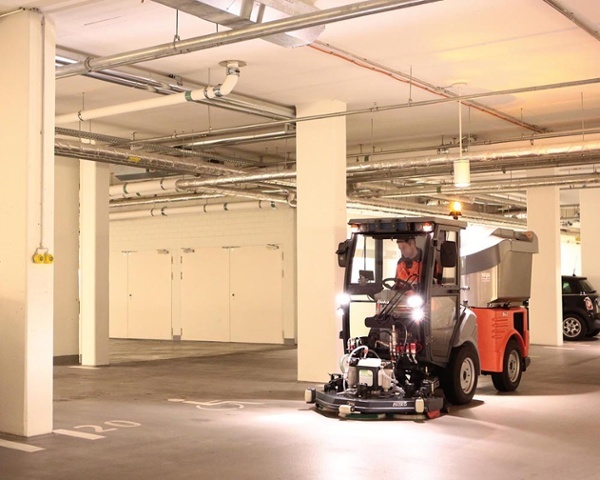 It is the ideal answer for those towns and cities wanting an efficient and high standard of cleanliness on their footpath, mall and plaza areas, multi-storey and underground car parks, or market squares to take hygiene and environmental cleaning to a new level. Industrial scrubber sweepers have to be trailered to site and have very limited ground clearance. 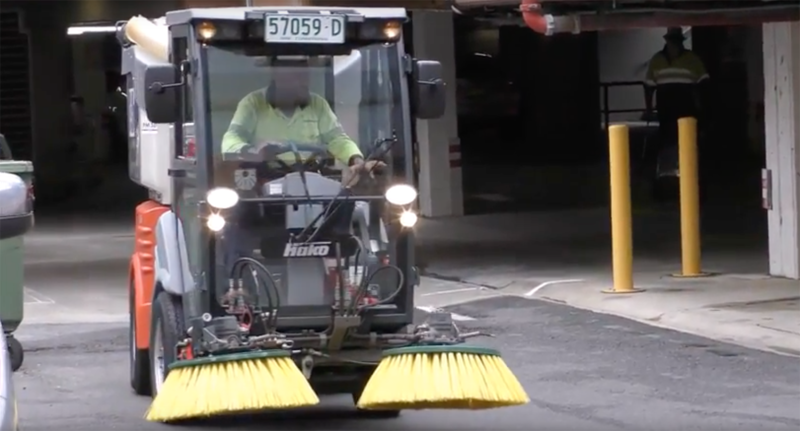 With a top speed of 30km/h and massive 150mm ground clearance, the Citymaster 1250 Scrubber Sweeper can travel to site independently and deploy onto the footpath without the aid of pram ramps. 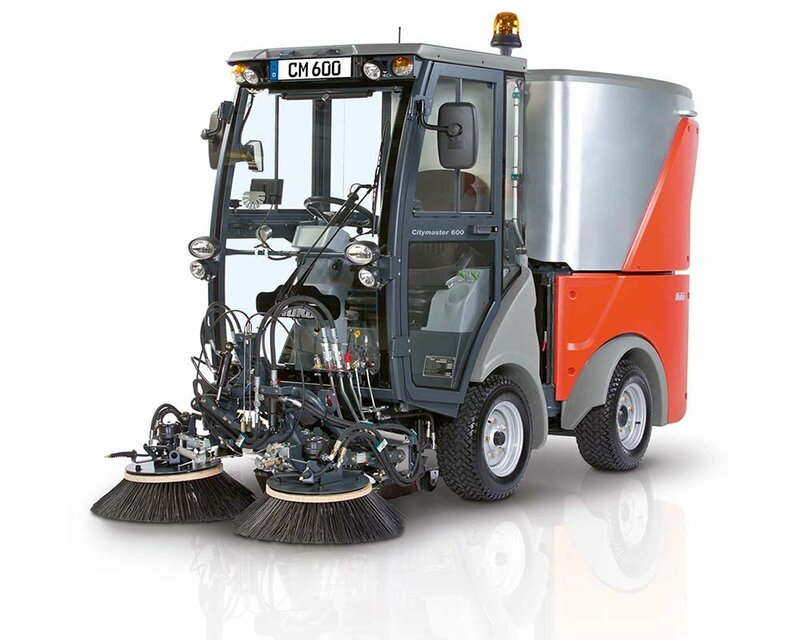 The Citymaster 1250 Scrubber Sweeper has an integrated chemical dosing system and fully loaded, carries 400 litres of water. Operators do not have to manually handle chemicals as the machine will metre the correct dosage, prevent chemical wastage and ensure a consistent clean. Unlike traditional industrial scrubber sweepers, the Citymaster 1250 can easily climb notoriously steep parking garage ramps and other gradients impassable to normal scrubber sweepers. With a wide suction head, the 1250 has an exponentially greater capacity to deal with any incidental debris missed by the sweeping crew as opposed to the narrow apertures of industrial scrubbers. 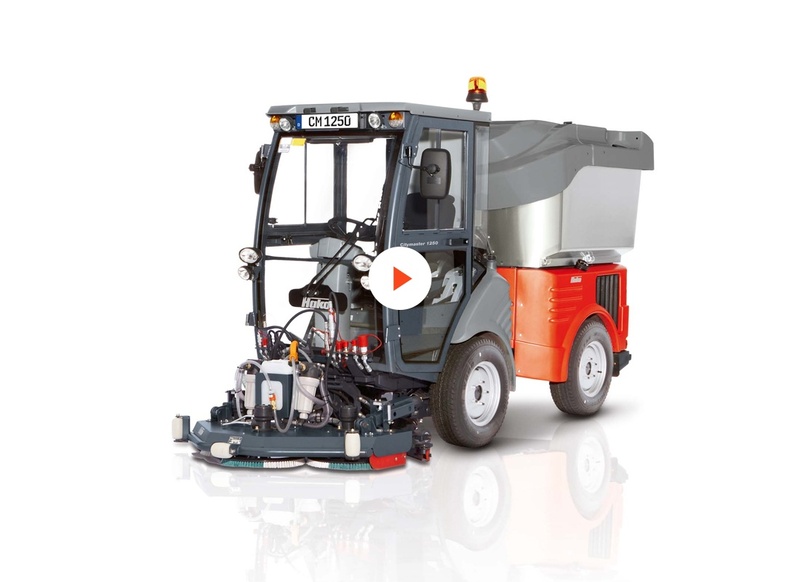 The Hako Citymaster 1250 Scrubber Sweeper is so versatile it can be changed to a sweeper, scrubber, and even lawn mower - and back again quickly and easily. The possibilities are endless!